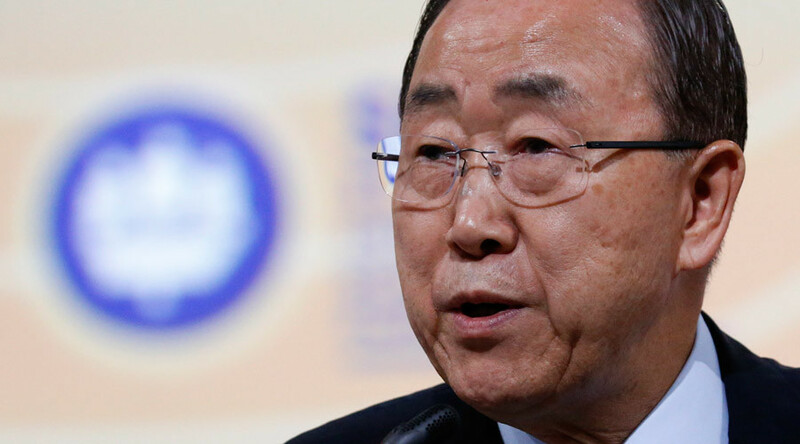 UN Secretary General Ban Ki-moon highlighted the importance of Russia’s mediation efforts in Ukraine and Syria ahead of his speech in St. Petersburg, causing Kiev to lash out at the UN chief, while a UN spokesman refused to “walk back” on the statement. Ban’s statement apparently infuriated Ukraine, as its UN ambassador, Volodymyr Yelchenko, slammed the secretary general, accusing him of compromising his high-ranking position by issuing statements that “praise the role of the Russian Federation in settling the conflict in Ukraine.” The Ukrainian government insists that Russia is also a party to the conflict, a claim that Moscow strongly denies. Yelchenko went as far as to say that the top UN official had lost “any moral right” to express his thoughts on Ukraine’s ongoing military and political crisis. He also forwarded an official letter to the UN General Assembly seeking an explanation for his comments. When confronted with Ukraine’s protest, UN spokesman Stephane Dujarric stressed that the body would not be cowed by pressure. “The fact is ... the Russian Federation is a permanent member of the Security Council and has a critical role to play,” he said, as cited by Reuters, adding that UN would not “walk back” from its words. Late on Thursday, Ban Ki-moon and Russian President Vladimir Putin met on the sidelines of the forum to discuss the ongoing conflict in Syria, Putin’s spokesman Dmitry Peskov said, adding that the president had complimented the UN chief on his work. "On the whole, Putin highly assessed the work of Ban Ki-moon in the post of the UN Secretary-General, taking into account the fact that he is about to complete his mission. And, certainly, in the presence of [UN Special Envoy for Syria Staffan] de Mistura, the sides gave major attention to Syria," Peskov said, according to TASS. The ceasefire deal for Syria brokered by Russia and the US that came into force on February 27 has proven to be the most successful peacekeeping effort since fighting broke out in Syria in 2011, and Russia played a central role in securing the Syrian government’s approval of the plan. 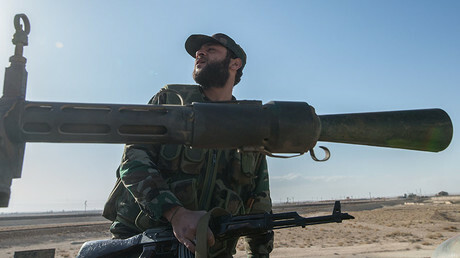 Referred to as a “cessation of hostilities,” the ceasefire regime in Syria has been open to all armed opposition groups that agree to lay down their arms. Internationally recognized terrorist groups such as Islamic State (IS, formerly ISIS/ISIL) and Al-Nusra were excluded from the deal. At the moment, the number of rebel groups that have signed the agreement stands at 61. 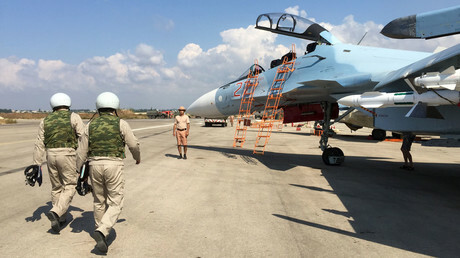 In 2013, Russian mediation helped prevent a large-scale military intervention in Syria amidst a controversy over the alleged use of sarin, a chemical agent, against rebels in Ghouta. Russia’s plan, proposed to President Bashar Assad and later backed by the US, required the complete destruction of Syria’s chemical weapons stockpiles and related equipment. Syria also had to agree to join the Organization for the Prohibition of Chemical Weapons (OPCW). By June of 2014, Syria’s entire chemical arsenal had been removed from the country. Russia is also actively involved in the peace process in Ukraine as a party to the landmark Minsk peace agreements that were signed into force by the France, Germany, Russia, and Ukraine in February of 2015. The plan set a framework for a ceasefire between Ukraine’s armed forces and the self-proclaimed Republics of Donetsk and Lugansk, which have been seeking independence from Kiev since an armed coup overthrew the country’s legitimately elected government. Russia has been working with the eastern Ukrainian rebels to ensure the implementation of the accord in full, while repeatedly blaming Kiev for thwarting the effort.